The Secretary of State for Housing, Communities and Local Government has pledged to review planning policies relating to airfields, in a letter to the Attorney General and MP for Kenilworth and Southam. This new letter to Jeremy Wright QC MP, the top legal officer in the country, supports a previous commitment that the Secretary of State Sajid Javid MP made to the all-party group in January. Mr Javid states that the National Planning Policy Framework (NPPF), the Government’s Aviation Policy Framework and the General Aviation Strategy “acknowledge the significant contribution that aviation makes to economic growth”. He also states “Local Plans should take account of the role of airfields in meeting business, leisure, training and emergency service needs”. 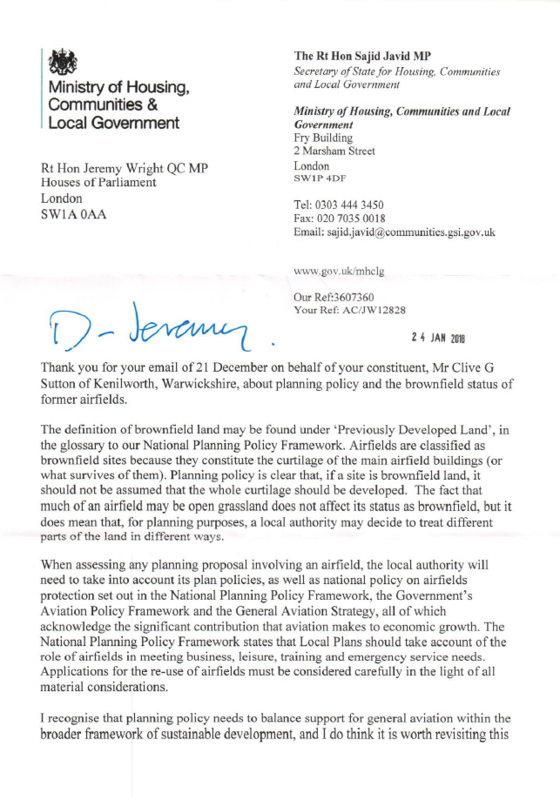 Responding to specific concerns about the brownfield status of both current and former airfields, Mr Javid writes that “if a site is brownfield land, it should not be assumed that the whole curtilage [of the site] should be developed”. Officials at the Ministry of Housing, Communities and Local Government are now reviewing existing policy in this area, working closely with the Department for Transport. The full letter to the Attorney General can be read below. Grant Shapps MP, Chair of the all-party group, said: “This is another very reassuring letter from the Secretary of State for Housing, Communities and Local Government. The all-party group is very pleased to see Mr Javid reaffirm his commitment to review planning policy relating to airfields, to ensure it is meeting the needs of the local community and properly reflecting the significant contribution that General Aviation makes to economic growth. 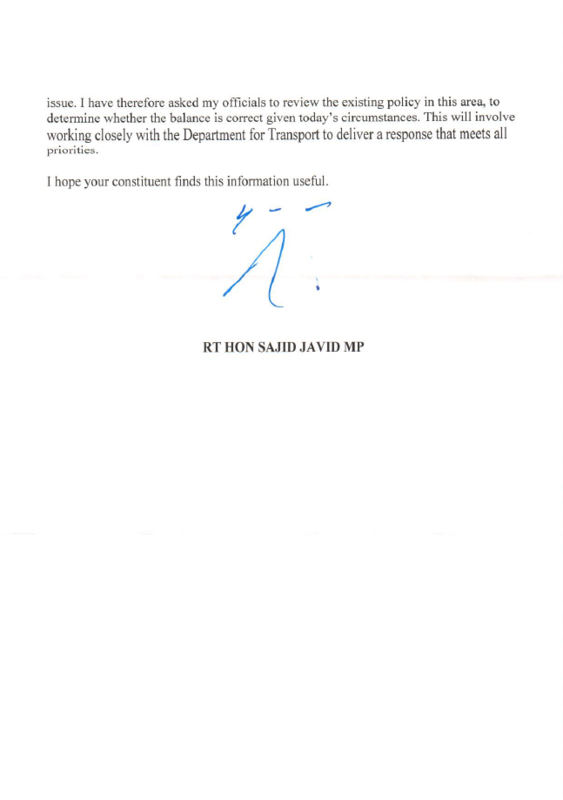 “I know that the parliamentary members of the group are very keen to see the outcome of this review, and we will work closely with Mr Javid’s department and the Department for Transport to make sure the balance is right for this critical sector and the £60.6bn wider aviation economy.